1.6m high. 25mm x 25mm frame. 12mm diameter bars. suitable for small dogs and puppies). Made from steel tubes that are zinc plated to prevent rusting and then powder coated. 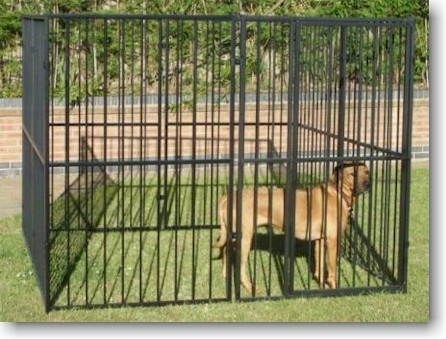 All dog runs and panels below are available in black or silver. 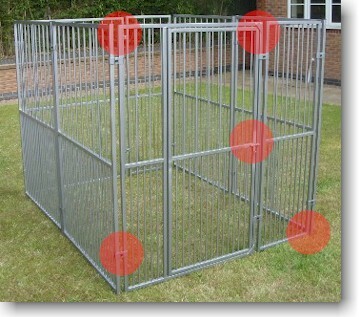 1m universal dog runs and panels are also available in green. .